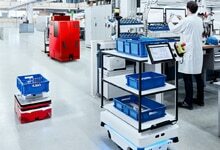 Move more with intelligent sensors. 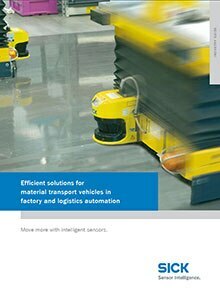 Mobile material transport systems are found in almost every industrial production area. 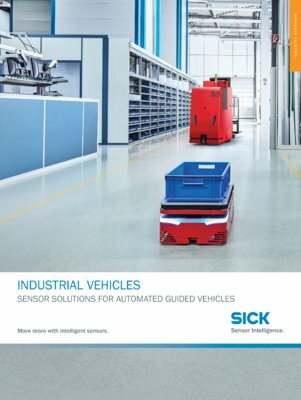 Whether driverless or partially autonomous transport systems, transfer vehicles, fork-lift trucks or narrow aisle vehicles – the most varied of sensors are employed for contour- or reflector-based navigation, for rough and fine positioning, for measurement and identification, as well as for optical data transmission. 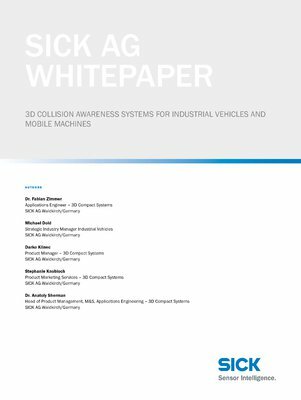 Above all, of course, humans must be protected, but goods in automated areas also require protection from collisions with these often rapid, and sometimes heavily loaded, vehicles.